At the APM Project Management Conference 2014 keynote speaker Camila Batmanghelidjh CBE stunned her audience by stating her mission; “to create a compelling evidence base for the power of social change.” To many, this would seem ephemeral and imprecise, but for someone who dedicated her life to helping neglected and unloved children, she was deadly serious. If the power of social change can be proven scientifically, then so can the power of project management. The APM Project Management Conference 2015 set out to do just that, to provide the evidence base for the power of project management. The first step in this mission was to expose the great myths that cloud both the perception of the profession and the delivery of successful projects, programmes and portfolios in the UK and around the world. 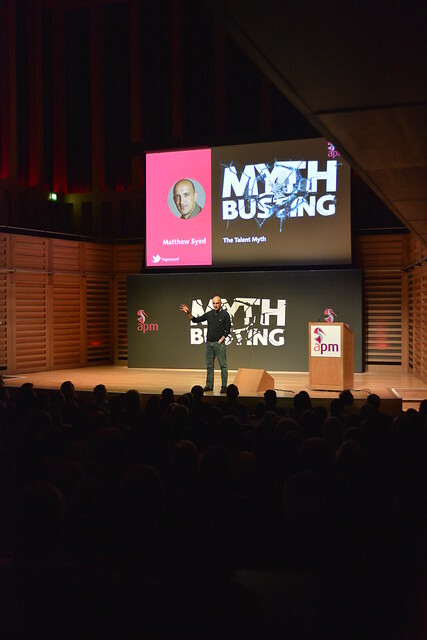 Myth Busting brought together speakers from within the profession and thought leaders from outside to address what we have always thought, but never said; how project management as it is written is rarely project management as it really is. Innovation - A risk too far?